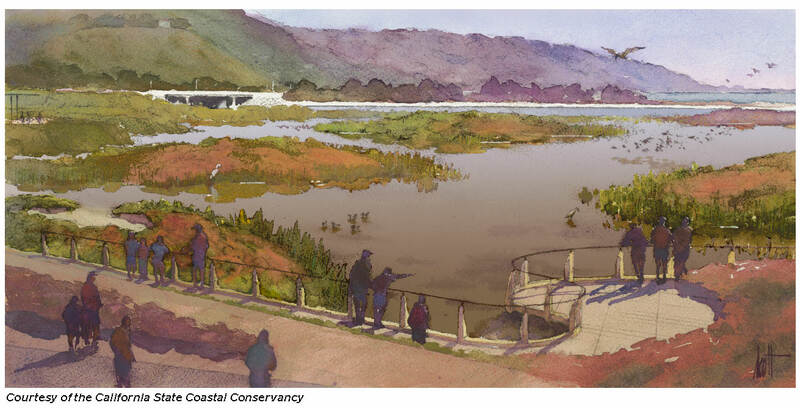 The above 2012 Artist’s Perspective of the proposed channels bears a remarkable similarity to July’14 reality. I thought it was hot, the many surfers and sunbathers thought it was hot, but the weather service claims it was 66-72° while we were at the lagoon, so that’s what I’m reporting. As expected, species present rose from the annual low in June, which you can see from the trip list below. 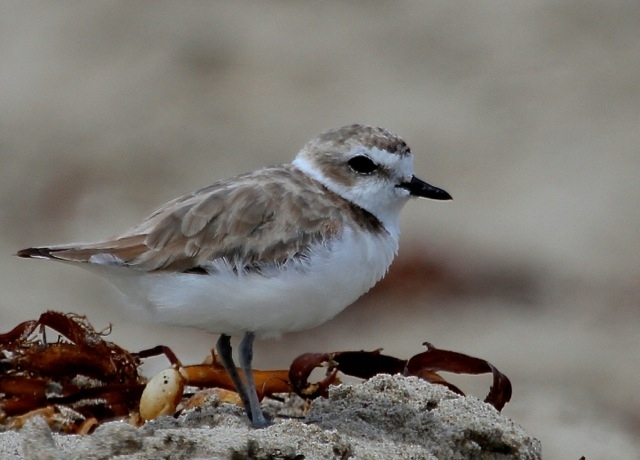 Also as expected, the Snowy Plovers have begun to return, with sixteen resting on the beach at the edge of their ‘enclosure.’ One Semipalmated Plover, a species who stops briefly during their spring & fall migrations, also made an appearance. We will probably see them here in August and September as well, then not again until next April. 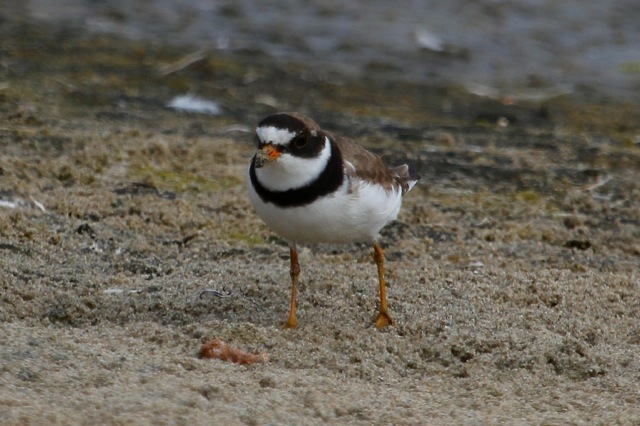 Birds new for the season were: Black-bellied Plover, Snowy Plover, Semipalmated Plover, Ruddy Turnstone, Western & Least Sandpipers, Least Tern, and Spotted Towhee. A Little Blue Heron, an east- & gulf-coast bird, was spotted by early arrivers on the beach but missed by the later group, despite intensive searching. We have recorded it – always a single bird – only three times previously: 10/23/88, 6/25/00, 6/24/07. 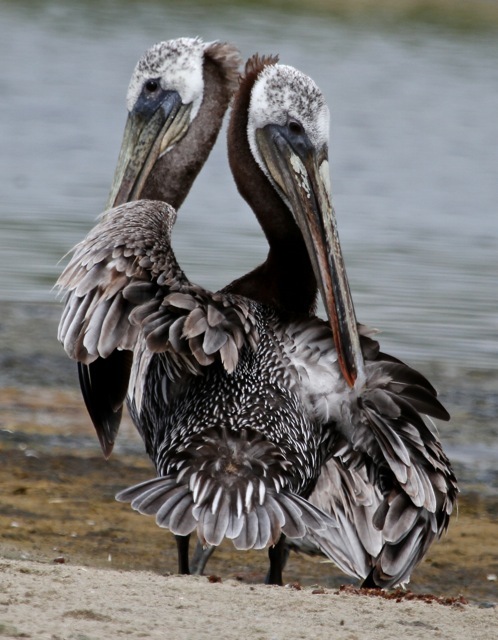 Two-headed birds, especially two-headed pelicans, are uncommon at the lagoon, so keep an eye out for this unusual bird. The other Brown Pelicans didn’t seem to notice anything odd about it. 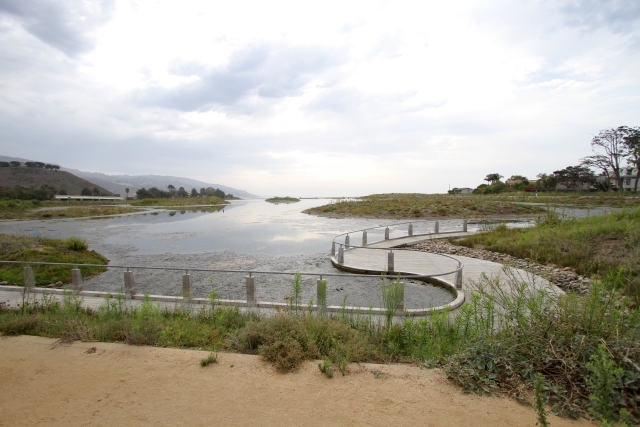 Our next four scheduled field trips: Malibu Lagoon, 24 August, 8:30 & 10am; Lower Los Angeles River, 6 Sep, 7:30am; Coastal Cleanup, 20 Sep, 9am–noon; Malibu Lagoon, 28 Sep, 8:30 & 10am. Our next program: Tuesday, 7 Oct., 7:30 pm. To Be Announced. A two-headed pelican? Are you just joking? Amie: Yes, I’m just joking. You probably don’t know me personally. I like to joke & create harmless fictions. I don’t expect anyone to believe them.